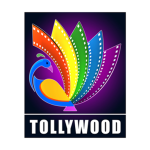 Watch Tollywood TV telugu entertainment channel Live Streaming for free. Watch Tollywood TV Live at YuppTV. Tollywood TV is one of the leading Telugu entertainment channels that air programs in the Telugu language. Through Yupp TV, you can access Tollywood TV online and enjoy various news, programs, and movies in the Telugu language while living abroad. The channel is available to Indians living abroad and this makes it possible for NRIs who speak the Telugu language to stay entertained even when they work overseas. Watching the channel is not only entertaining but also educational, thus if you have been wondering where you can watch your Telugu channels, then you need to subscribe to YuppTV and watch all of your favorite programs. Tollywood TV is Available in United States, United Kingdom, Canada, Australia, Malaysia, Singapore, Europe, New Zealand, Japan, Saudi Arabia, Middle East, Qatar and UAE.